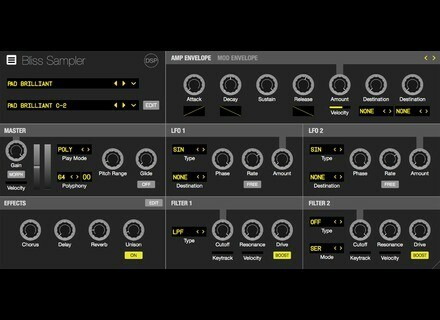 Bliss, Virtual Sampler/Sample Player from DiscoDSP. Fixed a problem in some hosts that blocked the transport (high CPU usage when sample editor was open). Previous customers can download 1.0.2 for free at Members Area. For new purchasers, Bliss is still available for Mac, Windows and Linux users for $99/€89. More information is available at the developer's website. [NAMM] Control your music with Myo & Leviathan Precision Music has released Leviathan, a Mac OS X application allowing to control music using the Myo gesture control armband. Yamaha launches Soundmondo Yamaha has officially launched Soundmondo, a social sound-sharing website for sharing Reface Mobile Mini Keyboard sounds.